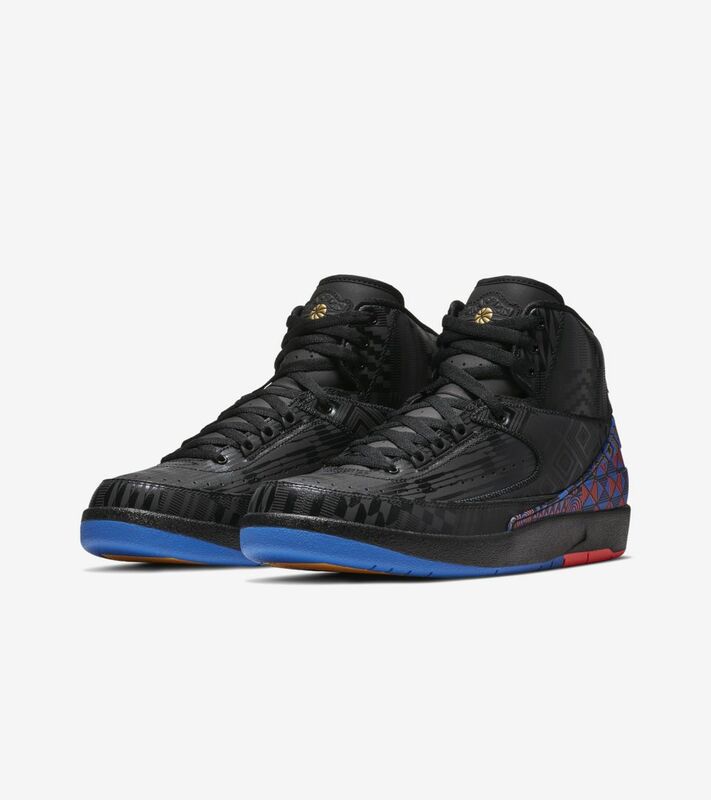 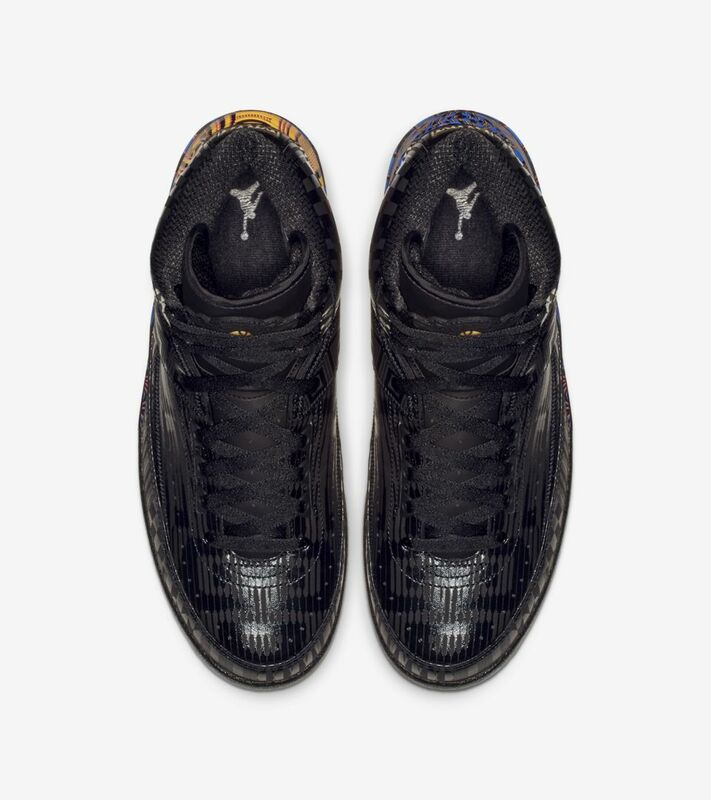 The Air Jordan 2 celebrates Black History Month in an iconic design with high-class comfort. 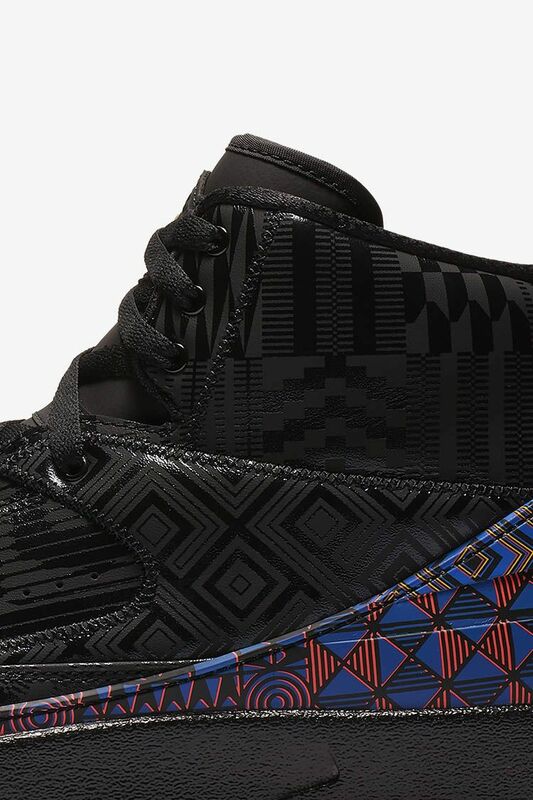 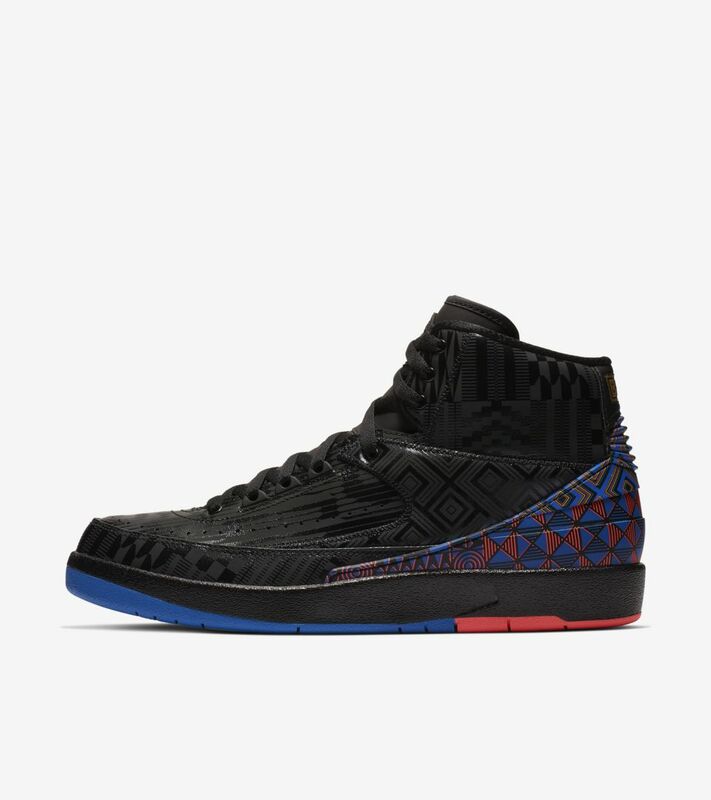 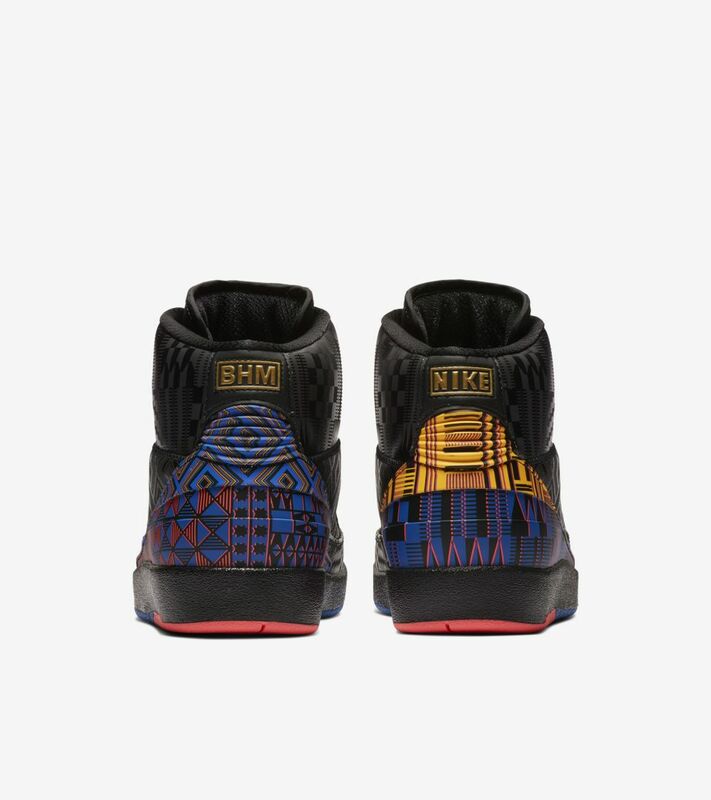 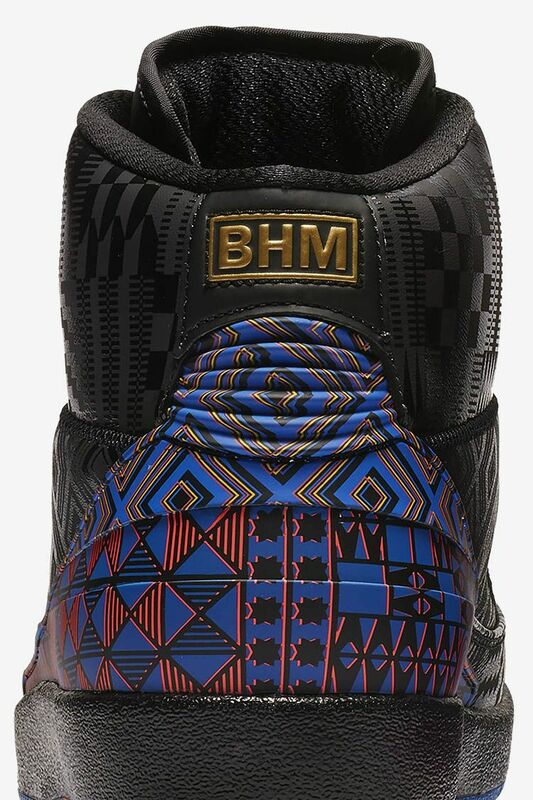 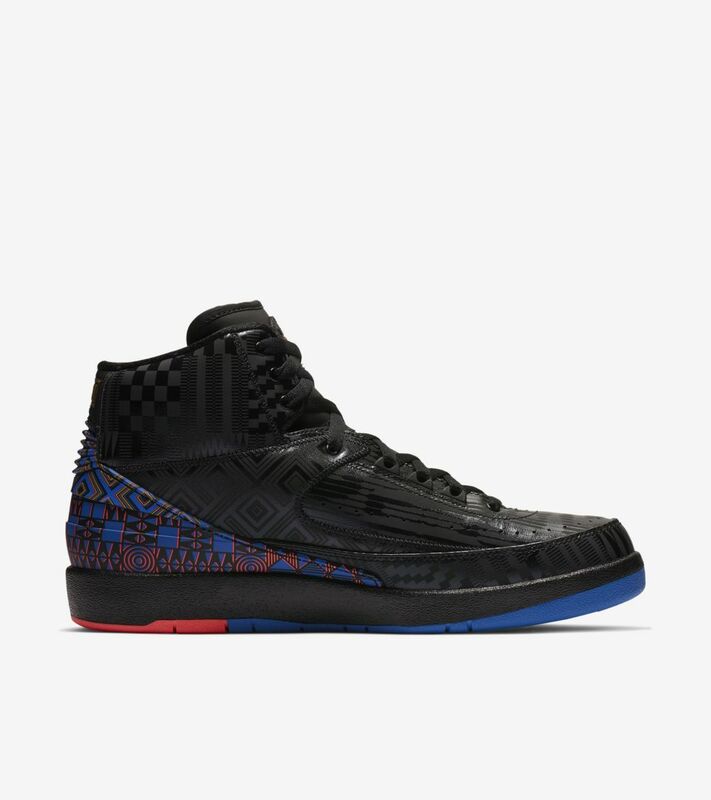 The black leather upper and dynamic pattern on the silhouette take inspiration from traditional African Kente cloth, and the heel features a golden "BHM" graphic. 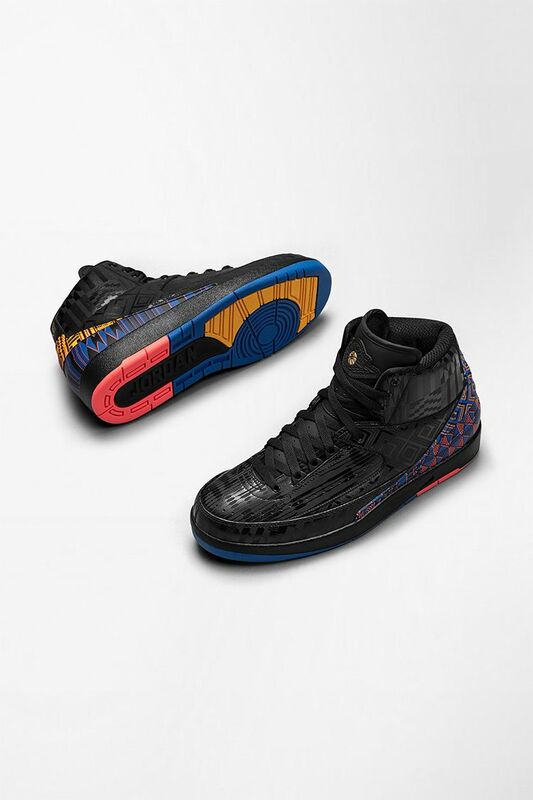 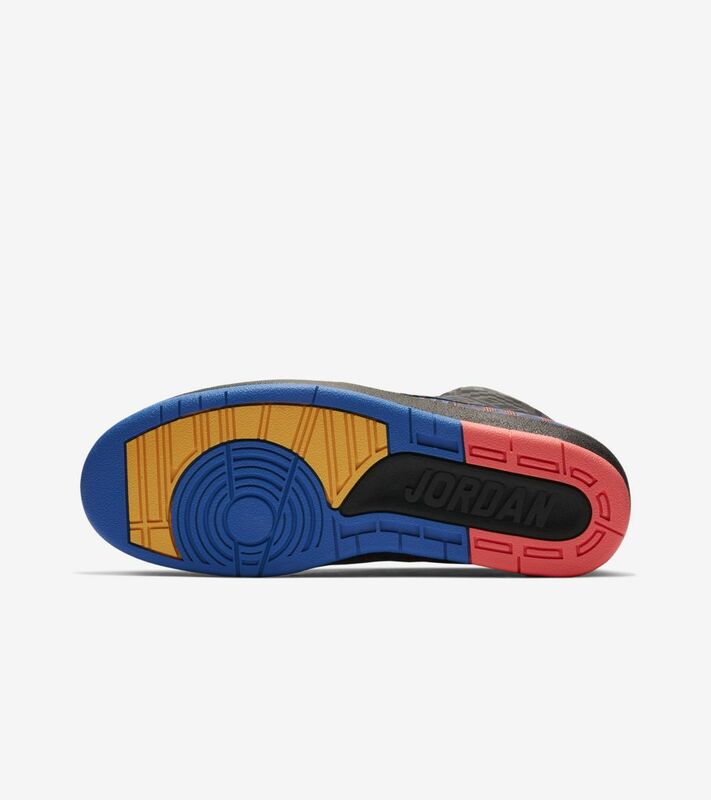 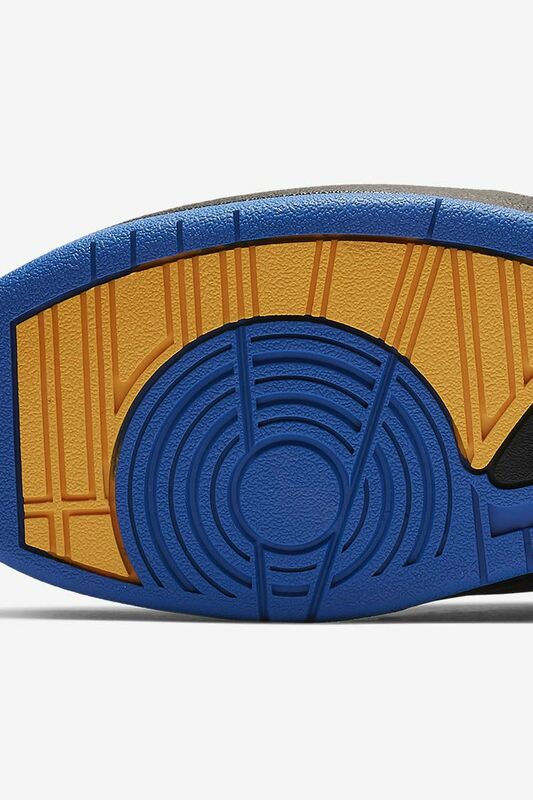 Finishing off this special-edition Air Jordan II is a multi-coloured outsole that is highlighted with red, blue and yellow accents.